We have called our business 'The Happy Tooth' We did this to reflect our belief that a healthy tooth, through best dental practice, is always a happy tooth. 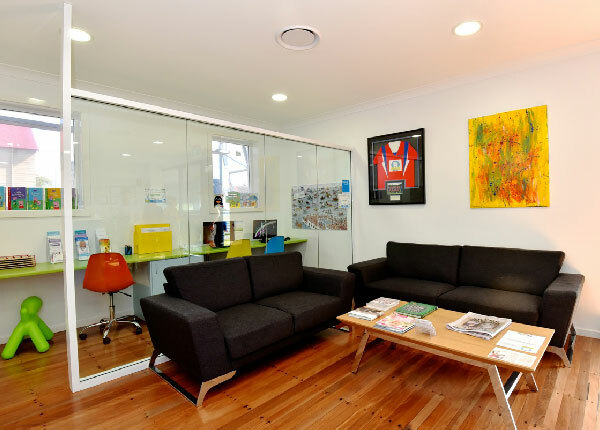 Our modern and comfortable dental premises are located in Kurri Kurri. We provide dental services to all areas of the Lower Hunter Valley including Kurri Kurri, Heddon Greta, Weston, Abermain, Pelaw Main and Mulbring. 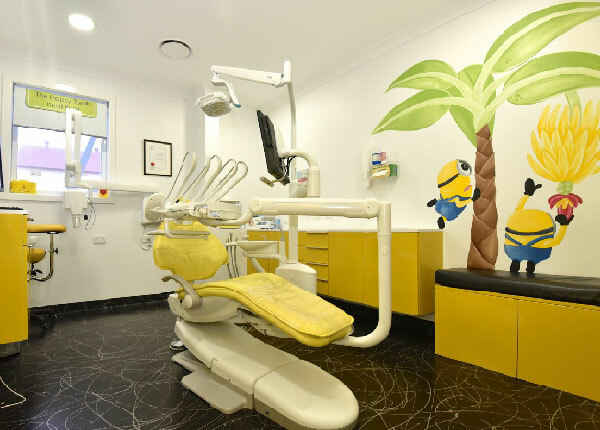 The Happy Tooth was started in Cessnock by Dr Alexys Ward in 2010. Since then it has grown to 4 Practices of which Kurri Kurri is the most recent. The family business has grown through providing high quality dental care, with great service in regional areas with modern equipment often not even seen in metropolitan Practices. We offer General Dental services, check-ups, Cleans, Fillings etc for general care along with many special interest procedures like Dental Implants and Orthodontics (braces). When you visit the Practice you will notice we are a friendly welcoming environment, especially for children and nervous Patients, with Happy Gas available. Not only are your teeth important to us, but also the experience you have while you visit us. Our staff are genuinely friendly and understanding, proving whatever they can to make you dental visits as comforting and relaxing as possible. Almost everyone agrees that a smile is important not only to your confidence but also your health and wellbeing. While our equipment and services are high quality, our fees are not, being based off the ADA average for dental services. Patients with Private Health Insurance will be able to use HICAPS instant claiming where available and those eligible for Veteran’s Health or the Child Dental Benefits Scheme are most welcome and will be Bulk Billed. There is also the availability of payment plans through National Dental Plan powered by Certergy Ezi-Pay so you can manage the costs over time. If I was having dental treatment myself, I want to know that the Dentist has the latest technology and equipment. This technology allows The Happy Tooth to provide you with the best dental care possible. This x-ray equipment gives better results, faster turn arounds and 80% less radiation than the older technologies. Our dental chairs come equipped with current technology, cameras and lasers. The chair based screens allow us to accurately identify any dental issues and to discuss treatment options with you. Our sterilising and infection control practices are of the highest standard. All equipment is computer tracked to make sure that only the highest hygiene standards are utilised at our practice. Over the past seven years I have completed many courses on advanced dental techniques. The Happy Tooth is at the cutting edge of dental treatment, evaluation and practice. I love being a Dentist. I enjoy being able to help fix patient’s dental problems. Being a Dentist to me is not a chore or a drudge, it is a positive opportunity for me to help someone. I will give you all the treatment options available together with supporting information. The recommendation I give you is what I think is best suited. It is what I would do for my family or myself. There are lots of dental procedures I excel at. However, if someone else does it better than me I have a network of excellent specialists who I can refer you to. This team approach is sometimes the best option. We do not overbook, we always try to be on time. If we are running late, we will endeavour to call you and let you know. Nothing is worse than wasting an hour of your time waiting for us. However, we have comfortable client lounges. At The Happy Tooth you will have your Dentist, focusing 100% on you. The Happy Tooth does not have any corporate dental approach – that is a production line with patients seeing different Dentists on different visits with no continuity of service. You will have your allocated time with your nominated Dentist. By investing in current technology, we have up-to-date dental chairs which are designed for your comfort and efficient treatment. The latest relaxation procedures are adopted. The Happy Tooth is proudly accredited preferred providers by HCF and CBHS Members. Happy Tooth Patients in these Health Funds will be able to enjoy a higher benefit payable on their dental treatment. These Health Funds through their preferred provider networks aim at reducing decay by making it more affordable to attend regularly and limit the out of pocket expenses. Please contact The Happy Tooth if you would like to make an appointment or have any questions about the Preferred Provider Network.